Modern Spector Soundalike | Cue Castanets! Here’s another modern Spector soundalike for you, courtesy of UK band Spiritualized. The band itself has had a revolving list of members with frontman and songwriter Jason Pierce being the mainstay that binds it all together. He is also a massive fan of Spector’s Wall of Sound. It comes as no surprise then that quite a few Spiritualized tracks bear trademarks of the Spector sound in one way or another. ‘Stop Your Crying’ is my favorite Spiritualized track and can be found on the band’s 2001 album ‘Let It All Down.’ The album itself saw Pierce trying, and succesfully at that, to follow in Spector’s footsteps. Allegedly, more than 100 session musicians were utilised for all the songs combined and many of the tracks feature a full orhestra. ‘Stop Your Crying’ really is a majestic track with a gradual build and a stately feel much like Spector’s slower 70s productions. Take a listen, close your eyes and tell me that you can’t hear Cher or Dion sing this at a Spector session with the wrecking crew as backing? This is gospel Wall of Sound of the highest order. I hope you enjoyed the recent interview with Wrecking Crew member Don Randi about his session work with Phil Spector and Brian Wilson. If you haven’t read the interview yet, just scroll down and enjoy his insights. Hot on the heels of Don’s stories, I’m glad to be able to publish yet another interesting interview. 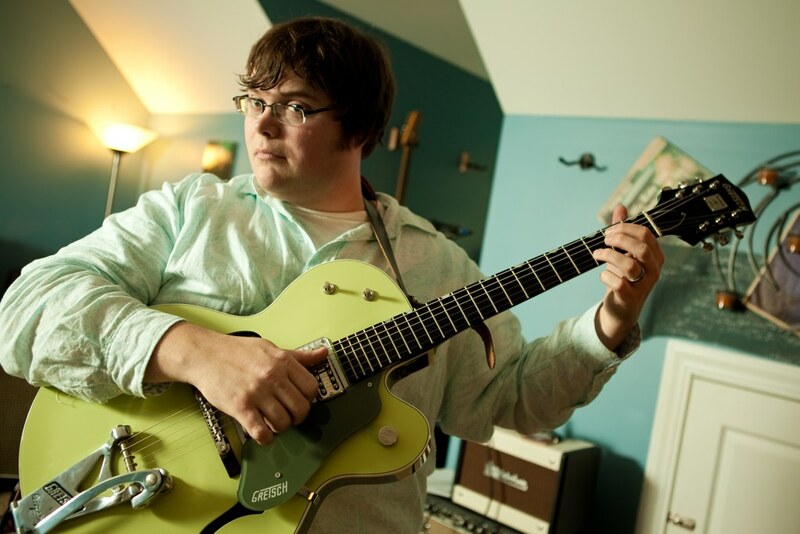 This time with Jason Brewer who is the main songwriter and band leader of one of the coolest groups to emerge in recent years, the Explorers Club. If you’re enough of a music geek to spend your time reading my ultra-nerdy posts on Cue Castanets, my guess is that you already know these guys. If not, then oh boy, are you in for a pleasant surprise! Anyone who follows the blog will know that I’m as much of a Beach Boys / Brian Wilson fan than I am a fan of Spector’s Wall of Sound approach. 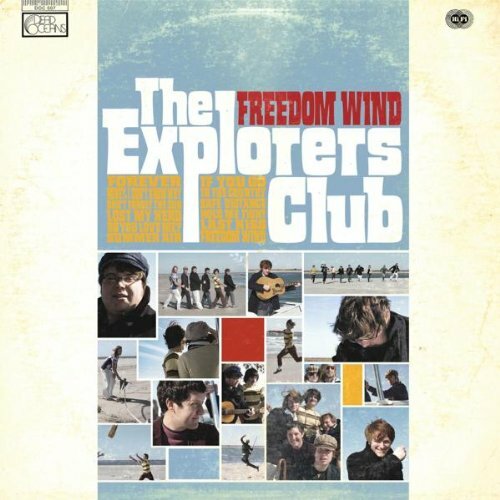 So I was simply blown away when I first came across songs by the Explorers Club at MySpace back in 2007. Who would have thought that a young group from Charleston could channel everything great about the Beach Boys and other iconic 60s pop in their own music? To date, Jason Brewer and a revolving line up of Explorers Club members have issued two albums and some one-off singles,… and for anyone checking in here, all of their output is essential listening. Please support these guys! They are in the midst of wrapping up their third album; keeping the flame alive and really deserving all the success they can get. Here, then, is an interview with Jason about his influences, insights about Explorers Club songs as well as some info on their upcoming album. Along the way, you’ll find embedded youtube videos with some of their stellar work to enjoy. First off Jason, I’d like to hear about how you started out playing music? Had you been in any other bands before you formed the Explorers Club? I started playing guitar when I was 11 and then started writing my own songs when I was 14. I was in a few bands growing up but nothing too serious. I had a band in college that was influenced by garage rock called 1984. But I didn’t feel professional enough to really go for it until Explorers Club started in 2005. You’ve obviously been very influenced by Brian Wilson & the Beach Boys, but what other artists and genres have made an impression on you? Is there anyone in particular you’d like to single out? I would say that there is a wide spectrum of music that has influenced me from the Beatles to Jimmy Webb to Burt Bacharach to Neil Young to Phil Spector to the Band to Nilsson and many others. Brian Wilson is far and away my biggest influence. I do have a few modern inspirations – not in sound as much as just “these guys are brilliant and I want to do what they do” – like john Davis from Superdrag, Starflyer 59, Noel Gallagher, Rufus Wainwright and many others. … as a musician of today, how does the music of that era resonate with you? Any specific thoughts about the difference between music then and now? All of that music is the biggest influence on me. The whole LA / Wrecking Crew sound is just magical. The brilliant records made then are the very pinnacle of rock and roll. Rock has not equaled that era. The LA music scene from the 1960s had such a creative and genre expanding sound that just resonates with me on many levels. When I heard so many of those records as a kid it was like being transported to another planet. I still get that exciting feeling whenever I hear the Wall of Sound or the Beach Boys or a great dramatic Bacharach ballad. 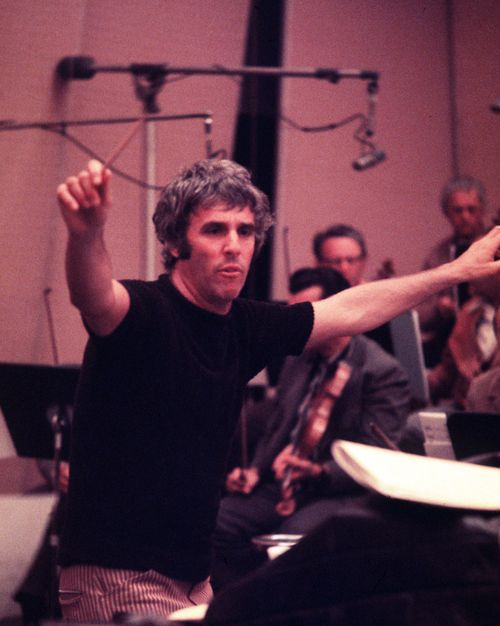 Burt Bacharach laying down perfect pop! How many instruments do you play by the way? When I listen to the Explorers Club albums I get the feeling that all of you guys combined are like the Charleston Wrecking Crew! Well, I play guitar and some keyboards. The band is actually now based in Nashville, TN with a couple guys in Atlanta and Charleston as well. The guys in the band are truly top notch and I feel so lucky and honored to work with them on our music. Do you collectively work out the songs and arrangements or are the songs more or less fully formed when you get together to rehearse them? I usually come in with the overall idea and then together we play the basic track based on the original idea – sometimes we add parts collectively and sometimes I already have musical arrangements finished. I try to not bring in half baked ideas but you never know when you will have a magical creative moment collectively. On this new album we are finishing up, our guitarist Mike took some basic ideas I had for our harmony vocals and came up with some brilliant arrangements. The songs themselves are usually done before we record but there is usually room to try different sounds in the studio. Those vocal harmonies on both your albums are gorgeous! Must take some time perfecting them? On everything we have done the vocals are the hardest part! I have done some arrangements on my own and a lot of them with Mike Williamson who now plays guitar in the band. 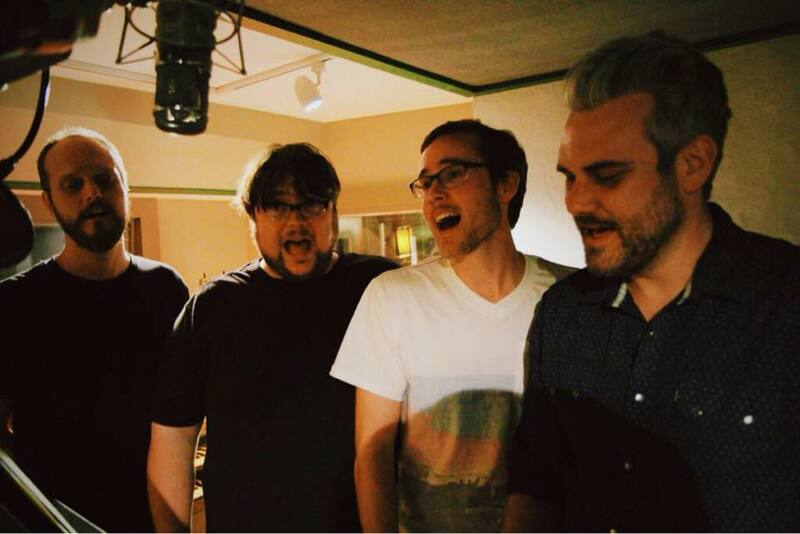 The current Explorers Club recording vocals for the new album. I’d like to dwell a bit on the main theme of the blog, Phil Spector & the Wall of Sound. Do you remember when you first became aware of his music? From a very young age I remember hearing Righteous Brothers and Ronettes records on the radio. But it all really came together for me when I got the Back to Mono box set about 15 years ago. It just blew my mind! It made me understand how Brian Wilson was so influenced by that music. Is there a particular Spector production that has made a profound impression on you? 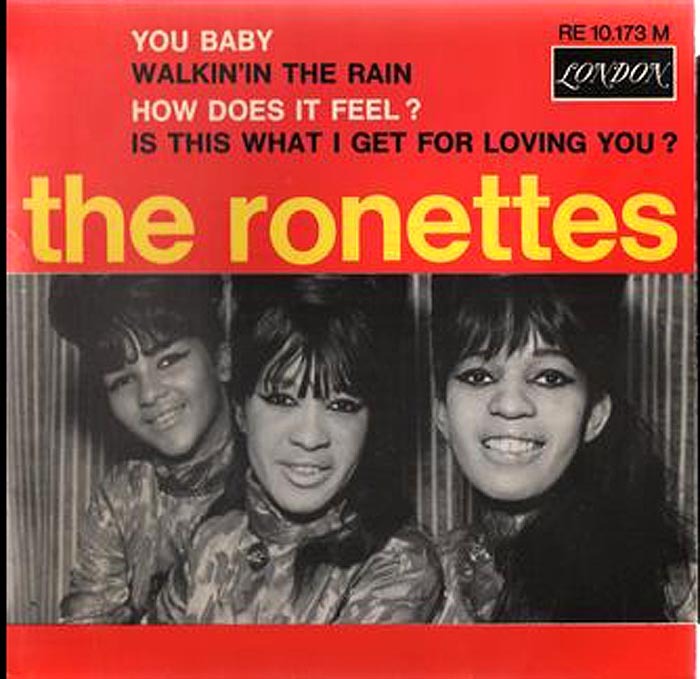 I would say my two favorites are ‘Be my Baby’ and ‘You Baby’ by the Ronettes. Two amazing records! Certainly can’t argue with that. I’ve always been really fond of ‘You Baby’ myself. I remember the first time I heard it, I went “Why, that’s the opening seconds of ‘You Baby’ right there!” Could you tell a bit about how you went about faithfully recreating the Wall of Sound on those songs and others? Was it just a case of trial and error? I tried to blend that intro with some other cool percussion instruments. We wanted to give a nod to that song and also create a really cool groove at the top. I had specific designs for that intro. Listening to the two Explorers Club albums, every track reminds me of the 60s LA studio scene heyday. You guys seem to spend a lot of attention to detail as well as work out arrangements worthy of full-blown Wrecking Crew sessions. In terms of your arrangement or production philosophies what would you say you’ve learned from studying the work of Brian Wilson, Spector or others? The main thing is the combination of sounds. Finding unique blends of basic instruments to create a unique sound. Brian was the master of voicing parts for just the right blend which he got from Spector but in my mind perfected. Brian took that Spector influence to a higher level. You broadened up your sound a bit with your second album, ‘Grand Hotel.’ When I first heard it, it struck me as a very diverse and loving tribute to the late 60s & early 70s soft pop / A&M Records sound? Totally! Those records of the soft pop A&M era were amazing. It is this perfect blend of reverb and dry sounds that is really hard to get sonically. One of the continuing features on my blog is my obsession with Spector soundalikes. There were so many talented people hanging around Gold Star during those iconic Spector sessions, many of whom emulated the Wall of Sound themselves, often to great results. Jack Nitszche. Brian Wilson, Sonny Bono. Nino Tempo – and later on, a lot of recent artists have built upon the sound like you have with your two albums. Are there any Spector soundalike tracks old or recent that you’d like to single out for whatever reason? Maybe other modern acts that you feel would appeal to fans of classic 60s pop? 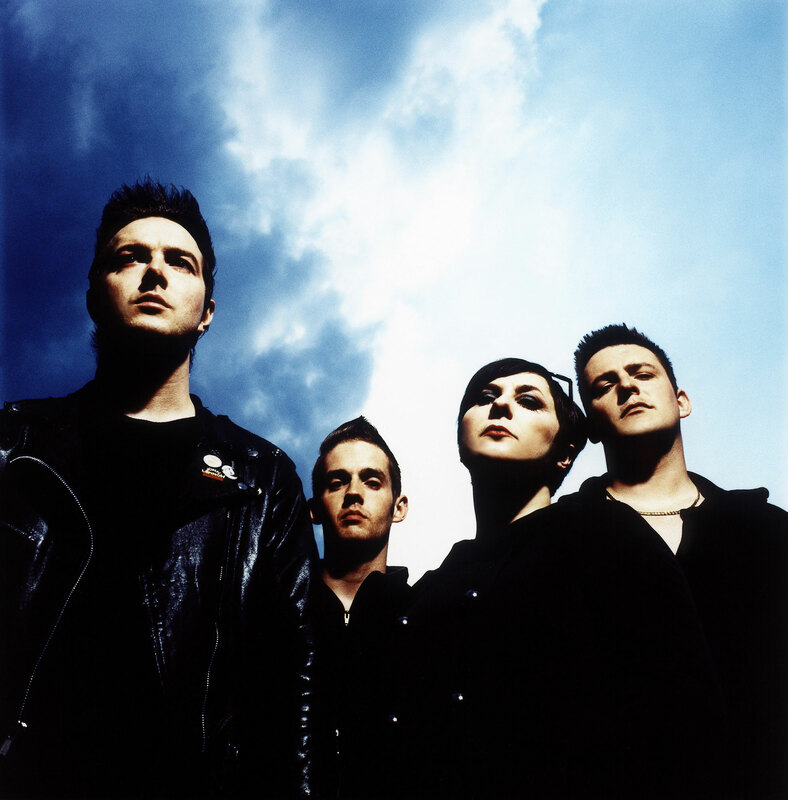 I haven’t heard too many modern acts like that except maybe Camera Obscura – I’m sure there are some others. But truly – a lot of modern acts are nowhere close to that amazing sound. Check out my ongoing ‘Modern Spector Soundalike’ feature on here then. You might discover a few modern tributes to your liking. That song is incredible and so well-produced! Could you tell a bit about the song’s genesis and working with Andy? Andy is the greatest. He is one of the best collaborators I have had. We truly just sat down one afternoon and knocked that song out at his house in LA. I imagined Ronnie Spector singing it with Brian Wilson producing. Explorers Club just recorded a new version for our new album. The original version I recorded with the great Mitch Easter. Yeah, about that much anticipated third album… What can we expect from it? How would you describe the sound and feel you’ve gone for this time around? Is there a release date yet? No release date yet. I’d say that this record is closer to our first album but has its own very unique sound. You can expect a lot of harmonies and some new sounds from us. It is sort of a mix of Sunflower-era Beach Boys along with a ton of surprises arrangement-wise. It is by far our best record. Wow! Sunflower is my favourite Beach Boys album so I can’t wait to hear what you guys have come up with. Finally, I hope you’ll be up for listing your personal top 5 of Phil Spector productions. Jason, thank you very much for taking the time to answer my questions. Good luck with the upcoming album! 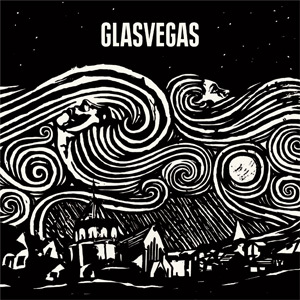 I was out driving in my car the other day and put on the debut album by Scottish indie group Glasvegas. That’s a record made for being played at ear-splitting volume while cruising. It also contains some of the most heartfelt, worthy tributes to the Wall of Sound issued in recent years. The Glasvegas 2008 debut album. 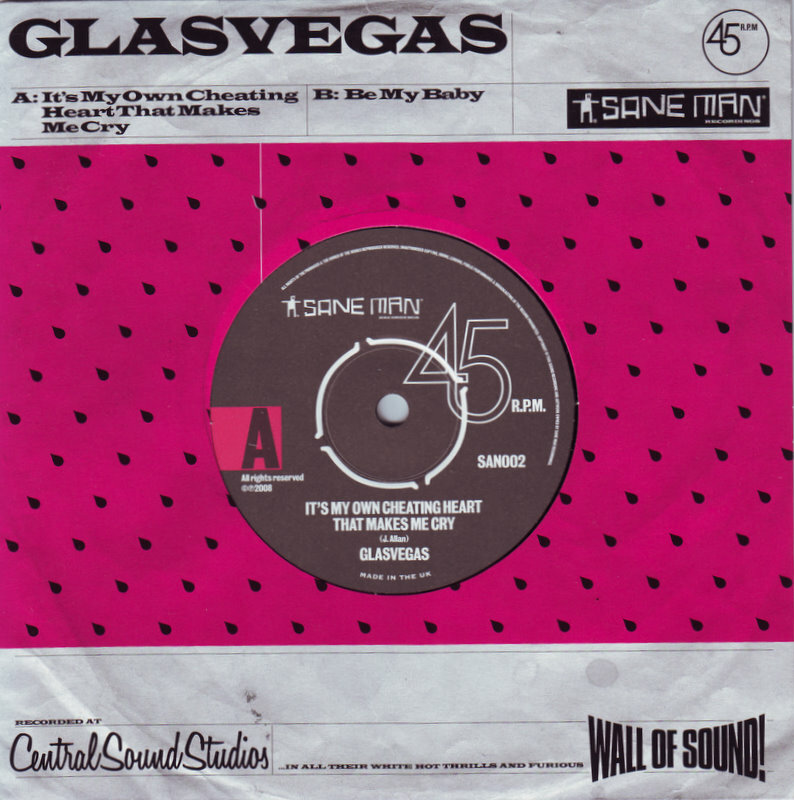 For this latest installment of my personal pick of modern Spector soundalikes it would be oh so easy for me to highlight ‘Daddy’s Gone’, – the epic breakout single by Glasvegas that received much hype prior to their 2008 debut album. Replete with ‘Be my Baby’ drumbeats and a bit of Ronnie Spector-like ‘oh ohs’ thrown in for good measure, it’s a loving tribute to the Wall of Sound that deservedly made music critics and rock fans sit up and take notice. And that voice! The voice of James Allan with a rough Glasgow accent so thick you could slice it. Seriously, I don’t think I’ve heard a singer in recent years sing with so much conviction and emotion as Allan. 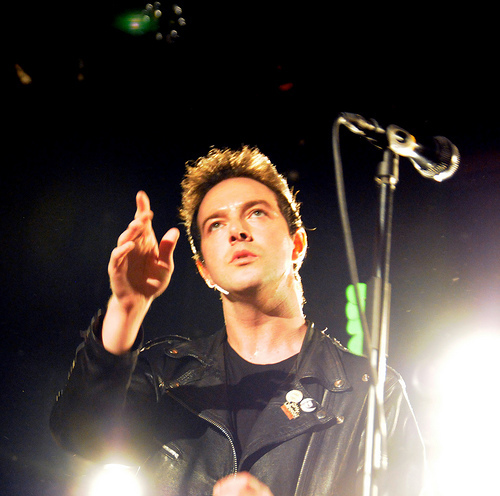 It sounds as if he sings with a lump in his throat; it’s genuine blue-eyed working-class soul on each and every Glasvegas song. The lead vocals are tense, wrought with emotion, dripping with drama – the perfect foil for a full-blown Wall of Sound. But as great as ‘Daddy’s Gone’ is – and if you don’t know it already, check out the video on youtube pronto – I’ll have to pass it for now in favor of a song and production off the debut, I think is even more majestic. To these ears, ‘It’s my Own Cheating Heart that Makes me Cry’ is, simply put, the be-all and end-all of modern Spector soundalikes! I’ve heard it a thousand times and I still get moved by it in ways only a few songs do. It’s a tearjerker crossing the border into ‘overblown’ territory head on …but I love it nonetheless. To be honest, I doubt Phil Spector would appreciate most of the modern Spector soundalikes I post about on my blog. Ever the megalomaniac, he would probably deem almost all of them below his standard. But I have a feeling that even Spector would acknowledge this gem as a major achievement and that he would especially dig the out-of –this-world soul-baring lead vocal by James Allan. Spector would instinctly know that ‘It’s my Own Cheating Heart that Makes me Cry’ is the real deal. The verse melody is a rock’n’roll lullaby with stinging thorns; the drone-heavy backing track nothing short of phenomenal. I could easily imagine the Tycoon of Teen cook up something like this during his short stint with the Righteous Brothers. The official music video uses the shortened single edit of this great song. I prefer the album version which allows for a more gradual, stately build-up, but I make a habit of posting official music videos if available. So here you go – note the tour-de-force ‘grand finale’ in this song from 2:43 onwards. E-P-I-C! I realized today it’s been quite a while since I published a post about the ever growing number of modern Spector soundalikes. As you may know from my previous posts on the subject I find these examples of modern artists tipping their hats to the Wall of Sound very interesting. If anything, they show the far-reaching influence of the Spector approach on all sorts of genres and also reveal how different artists will pick up different ideas from the Wall of Sound and milk them for all they’re worth. Spector of course sort of did the same when he started out – if we were somehow transported back in time to the early 60s, before his Philles heyday, and heard some of his then earliest productions, it would have been fair to label them ‘modern Leiber & Stoller soundalikes’ for that time. Because that’s what they were before Spector slowly carved out his own characteristic style through trial and error. For this latest entry about modern Spector soundalikes we’re off to Canada, home of the music collective known as Gigi. Gigi released the album ‘Maintenant’ in 2010, basically borne out of a fantasy by two musicians, Nick Krgovich and Colin Stewart, who wanted to write and produce a collection of retro-songs the old-fashioned way; stuff that sounded as if it was recorded in the 60s with that era’s production flourishes and sensibility recorded using vintage equipment. 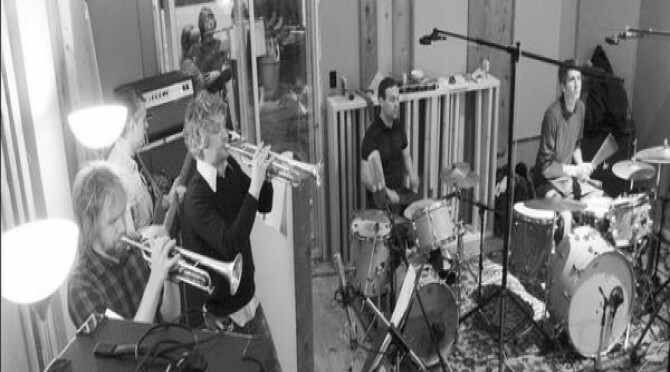 Based in Vancouver, allegedly as many as 40 musicians from the local music community took part in the project recording backing tracks live in the studio like Spector and the Wrecking Crew did in the 60s. My mouth was watering when I first read about this project – it sounded so promising! Was this the Spector / Wall of Sound-themed concept album of our dreams? I’ll have to say though that I was disappointed when I heard the album. There are a few good tracks for sure but in general I found ‘Maintenant’ to be lukewarm despite the good intentions. And somehow, to these ears, the majority of the tracks seem a bit unimaginative. However, as we all know, almost every album has at least one ace track among all the filler and Gigi’s ‘Maintenant’ is no exception. For me, ‘Won’t Someone Tell Me?’ is the stand-out track by miles. It’s not overtly Spectoresque production-wise; Spector and Jack Nitszche would probably have been puzzled by the lack of echo, thunderous percussion and the pretty sparse string arrangement. Production-wise, ‘Won’t Someone Tell Me?’ is much more akin to, say, a snappy Lesley Gore track than Spector’s usual monophonic mayhem. Nevertheless, the song itself is a prime example of perfect girl group pop for the 21st century harking back to that golden era of girls that gave us iconic sides by the Ronettes or the Crystals. I could easily imagine both groups tackle this song along with Spector, in my dreams resulting in a tremendous monster track that would blow Gigi’s version out of the water. Having said that, the Gigi version is very, very good indeed. I’m especially fond of the innocent ‘little girl lost’ lead vocal by Mirah, whoever she is. She foolishly only sings this one song on the album which really is a shame since her delivery here is top notch. Enjoy then a very nice slice of girl group pop with a pinch of poor man’s Wall of Sound thrown in for good measure! Gigi – Won’t Someone Tell Me?